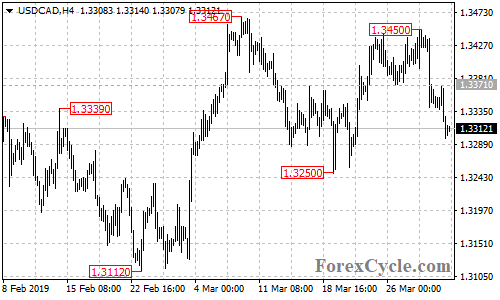 USDCAD extended its downside movement from 1.3450 to as low as 1.3297. Further decline is still possible in the coming days and next target would be at 1.3250 area. Key resistance is at 1.3370, only break above this level could signal completion of the downtrend. Next Next post: Bitcoin Jumps Sharply by 23%. Is the Bear Market Over?